Liquid product formulated from solvents and non-ionic sufractants. 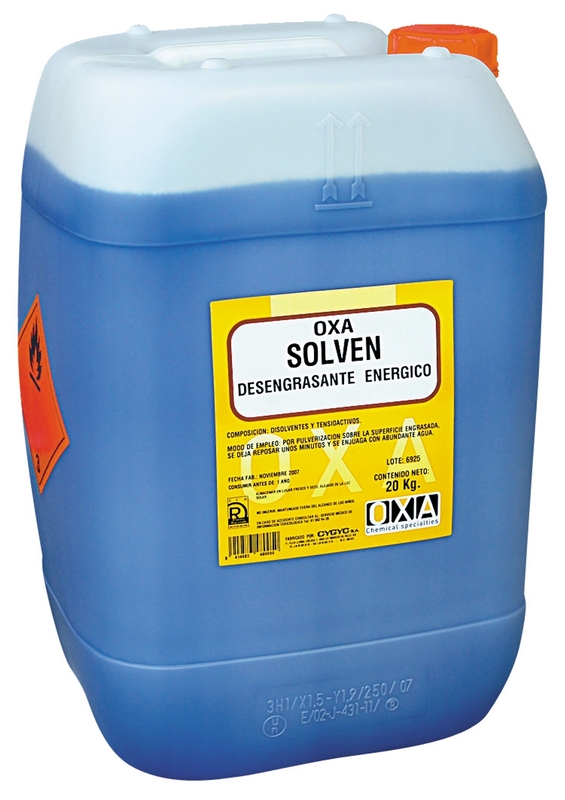 OXA - SOLVEN Is a highly-effective product used to eliminate scalled mineral greases which contain metallic dust, wood dust, dirt, etc. which cleanning with detergents becomes hard. Due to it's solvent power, totally separates the greassy dirt, and thanks to it's emulsifier effect, allows to clean the surface with water, without leaving oily waste. Fast and controlled foam detergent for vehicles.